Tateyama. 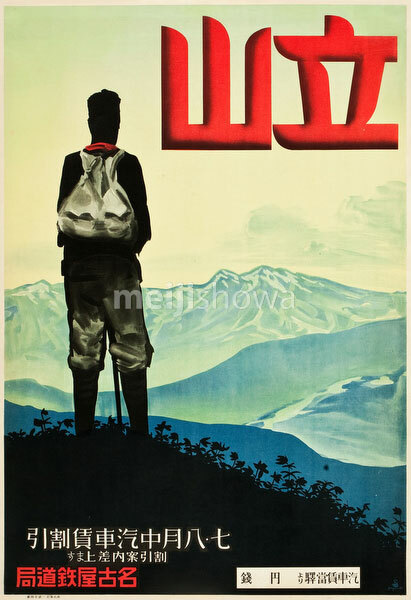 Japanese travel poster published by Nagoya Rail Agency, 1930s. Mount Tate (立山) is one of the tallest peaks in the Hida Mountains, Toyama Prefecture.